We still have a small but closing window of opportunity to devise a strategy for a Global Transition to working within Environmental Limits before we pass any number of tipping points. This proposed book will describe possible elements of such a strategy. Saving Our Bacon, Strategy Elements for a Global Transition to Working Within Environmental Limits, or Saving Our Bacon for short, is a working title. It will provide a simple and short guide to sustainability, what it is (and is not), why it’s important, and will concentrate on how it could be brought about by the world’s largest companies. It will be of interest to all who are concerned about the future, from CEOs and board members of the world’s largest businesses to students. It will provide a “good news” approach to what is arguably the single most pressing issue of our age – how to equitably and continuingly provide for the world’s population (currently all 7 billion of us) while working within environmental limits. 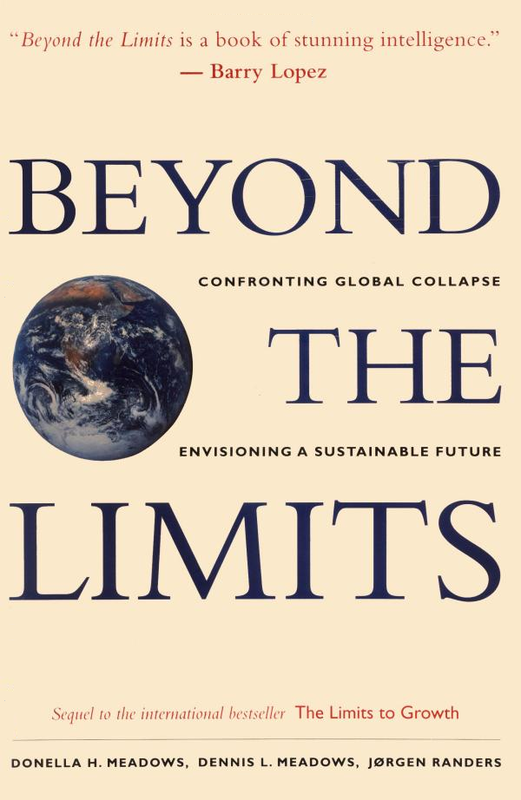 Apart from opening and closing chapters, each chapter of the book will outline an element that could be part of a global strategy to move the world’s economy to working within environmental limits. Such strategy elements include a Sustainability Framework (similar to the UN Framework for Climate Change) and Measuring Sustainability. 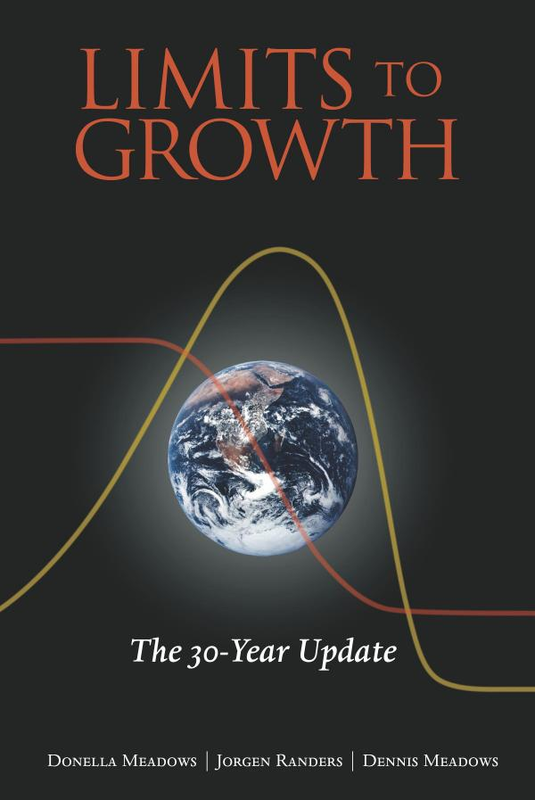 Dr Baker has been concerned with the issues covered by this book since reading the Club of Rome Report, “Limits to Growth” in 1974. He spent many years undertaking research on energy and related issues at The Open University. Subsequently he was instrumental in setting up a community that was dedicated to establishing a self-sufficient lifestyle. Dr Baker has designed and built a passive solar home and planted hundreds of trees. Dr Baker’s daughter now lives in his home in the Adelaide Hills that provides all of its own services with the exception of a telephone line. Since 2002 Dr Baker has worked with Professor Ross King in running CSEM-BMP, a management training and development centre that specialises in sustainability, and has a vision of business being part of the solution rather than part of the problem. An aspect of developing this proposal will be to seek out “experts” and celebrities willing to endorse the book. Dr Baker also has other online profiles as listed on his website (www.michael-baker.com). Dr Baker intends to develop drafts of each chapter for Saving Our Bacon online, probably on his blog. Doing so will considerably increase his writer’s platform. Dr Baker studied at the University of Glasgow where he obtained a BSc with First Class Honours in Civil Engineering and went on to receive an MPhil in Town and Regional Planning. 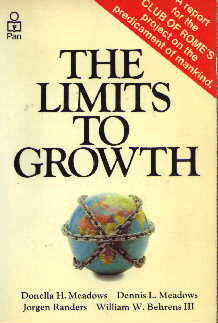 It was while studying for the latter that he read the Club of Rome Report, “Limits to Growth” which changed the course of his life. He spent the next year looking for a way to make a difference to the many environmental issues that the world was (and still is) facing. This included applying for jobs with the then recently established UN Environment Programme and Environment Canada, and visiting the Centre for Alternative Technology at Machynlleth in Wales. In 1975 Dr Baker joined the Energy Research Group at the Open University in Milton Keynes where he undertook research in many aspects of transport and energy and obtained a PhD in 1981. His PhD thesis was on Problems in Long Term Foresting and Planning. Following work as an Analyst Programmer with The Open University and then in private practice, Dr Baker migrated to Australia in 1986. He moved to the Adelaide Hills in South Australia where he played a major role in setting up a community that was intent upon establishing a self-sufficient lifestyle which included Permaculture design and passive solar houses. Dr Baker designed and built his own passive solar house and planted hundreds of trees. Since 2002 Dr Baker has worked with CSEM-BMP where his is now Joint Programme Director. CSEM-BMP is a management training and development organisation that specialises in Sustainability. Dr Baker’s responsibilities with CSEM-BMP include courses on Life Cycle Assessment, Energy Management, and Disaster Management and Preparedness. Saving Our Bacon is for those who want good news stories about, and the how to of, achieving sustainability, that is a world that will work within environmental limits. It will be of interest to all who are concerned about the future, from CEOs and board members of the world’s largest corporations to students. The potential size of the market can be judged from the popularity of some of the similar titles listed below. However the proposed book will take a “good news” approach that will show how the world’s major businesses could lead the required transition and will be written in the author’s unique style. By developing this proposal and drafts of each chapter online, a potential fan base will be developed before the book is published. After publication a social media campaign will be run, and blog and other articles about the book will be published. The Preface will provide some background on the author, on CSEM-BMP and how the book came about. The Introduction will point out that Sustainability requires more than a response to Climate Change. There are some 15 to 20 major issues that have to be addressed in the very near future. A purist and a pragmatic view of sustainability will be covered. The CSEM-BMP approach to causing the required sustainability transition is to have business be part of the solution instead of seeing it as part of the problem. Summaries for the remaining chapters appear in the sample chapter below. This book contains a good news story, but first the bad news. There are 15 to 20 issues that need to be dealt with immediately. Any one of these issues has the potential to trigger events that will devastate our ability to provide for ourselves, and of our children to provide for themselves, and of their children to provide for themselves and so on. Embracing the time scale of the markets. Business can be part of the solution, it does not need to be part of the problem. Most of the suggestions contained in this book could be undertaken by business on their own, and could be started now. Long-term investment funds, such as pension funds, will in-time (if they have not already) wake up to the desirability of causing a global transition to working within environmental limits. Without it the value of their portfolios will fall over time as the devastation caused by ignoring the issues take hold. However they will need tools. Some may say that they have tools already, but are they fit for purpose? If every company in the global economy was assessed by the tool in question and found to be sustainable, would the resulting global economy be sustainable? If yes, then that tool is fit for purpose. As of yet I know of no tool that has been subjected to this “Acid Test”, let alone passed it. Another component of the global financial system that is already seeing the desirability of tackling at least some of the issues is the insurance industry. That is enough on what the book is about for now. You may want to know a bit about me first. In about 1974 when I was studying Town and Regional Planning at Glasgow University I read the Club of Rome Report, “Limits to Growth”. This caused me to reassess the course of my life. For the next year I looked for a way to make a difference to the many environmental issues that the world was (and still is) facing. This included applying for jobs with the then recently established UN Environment Programme and Environment Canada, and visiting the Centre for Alternative Technology at Machynlleth in Wales. In 1975 I joined the Energy Research Group at the Open University in Milton Keynes where I undertook research in many aspects of transport and energy and obtained a PhD in 1981. My PhD thesis was on Problems in Long Term Foresting and Planning. In 1983 while on a skiing trip I met Steve Stevenson who introduced me to the Hunger Project who’s goal was to cause the political will to bring about the end of hunger by the end of the century. While working with the Hunger Project I first met with Ross King. Following work as an Analyst Programmer with The Open University and then in private practice, I migrated to Australia in 1986. I moved to the Adelaide Hills in South Australia where I played a major role in setting up a community that was intent upon establishing a self-sufficient lifestyle which included Permaculture design and passive solar houses. I designed and built my own passive solar house and planted hundreds of trees. Since 2002 I have worked with Professor Ross King in CSEM-BMP where I am now Joint Programme Director. CSEM-BMP is a management training and development organisation that specialises in Sustainability. My responsibilities with CSEM-BMP include courses on Life Cycle Assessment, Energy Management, and Disaster Management and Preparedness. A holistic vision of responding to the environmental crisis. If the issues of the environmental crisis, such as climate change, are tackled on their own, the chances are that at least one of the major issues will be missed, which will get us into nearly as much trouble as if they had all been missed. 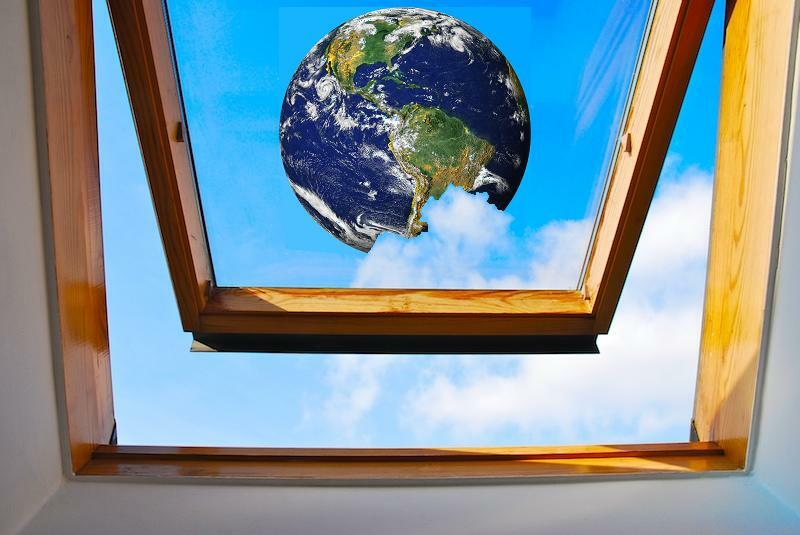 Limits to Growth and subsequent updates have pointed out that we live in a finite world. It also pointed out that the longer we delay a transition to sustainability (that is living within the limits) the lower will be the sustainable level of output that future generations will be able to achieve. More recently, the Stern Review has demonstrated that the longer we delay tackling climate change, the greater will be the cost. the less costly it will be. To achieve a global sustainable economy we have to tackle, in the immediate future, perhaps 16 other major issues as well as Climate Change. Taking the precautionary principle, we should act now, rather than later, because later may be too late. To move the whole global economy onto a sustainable basis within a short period of perhaps five years of the remaining window of opportunity, the first pioneering corporations need to be sustainable within the next year. To borrow a phrase from Winston Churchill: Action This Day! There are perhaps 17 major environmental issues, of which climate change is but one. Each would benefit from a review of the type, size and rigour of the Stern Review on the costs and timescales of responding to climate change. What is the size of the window of opportunity to tackle this issue? What are the consequences of missing? We need to establish what the environmental limits are for each of the major issues: locally, regionally, globally. Establishing and continuously reviewing the limits would be an important part of a Sustainability Framework. Similar to the UNFCC but covering some 15 to 20 major ecological issues with a mechanism to add more issues without having to negotiate a new treaty each time. This could be related to, or part of a UN Sustainability Framework. To promote the idea of a UN Sustainability Treaty it would help to have a Model UN Sustainability Treaty. 10 large corporations, one in each of the 10 major sectors of the global economy, each of which could achieve sustainability and inspire the rest of that sector to follow suit. There are already several measures of sustainability. Ideally they should each pass the acid test: If every entity in the global economy was assessed by the measure in question and found to be sustainable, would the resulting global economy be sustainable? If yes, then that measure is a good measure of sustainability. A scheme (or schemes) to certify that a process, facility, or whole organisation is operating sustainably. Such scheme(s) should pass the Acid test of Sustainability Measures. There are already many books on the subject. This chapter will briefly review the parts that some of these can play in achieving a global transition. Associations of businesses who are sustainable, or committed to becoming sustainable in a very short timescale. The councils could promote the benefits of becoming sustainable and assist their members to make the transition. Already existing councils of this nature are reviewed and compared to the ideal using the “Acid Test” (see above). Like the National Councils, open to global corporations, who are sustainable, or committed to becoming sustainable in a very short timescale, plus the National Councils. As with National Councils, already existing councils of this nature are reviewed and compared to the ideal using the “Acid Test” (see above). There are multiple environmental issues that could be addressed by Cap and Trade Schemes. Given the time scales involved global businesses may be able to create a framework for such schemes in a shorter time period than that required for the negotiation of multilateral treaties. To be effective each of the businesses taking part would have to establish a differential pricing scheme between customers who are part of the scheme and those who are not. This item is Euro-centric. Under the REACH regulations every seller of goods is required, on demand, to supply information about all of the components of the items they sell. To meet such demands they need to in turn make those requests of their suppliers, and so on up the supply chain. These requests for information could be automated if there were a standard format to record the required information and the information were placed in a database before the requests were made. Competing companies could provide a service to sellers and manufacturers provided their databases were inter-operable. A Compact with teeth. Membership would only be open to those who have a demonstrated and measured commitment to becoming sustainable in a short period and remaining so. In the long term the market will tend to favour those who are sustainable over those who are not because they are more profitable. However in the short term, given the now short window of opportunity for the world to transition to a sustainable economy, it may be advantageous to create an additional mechanism to make unsustainable businesses uneconomic. Such models could be used to encourage nations and states to require all organisations within their jurisdictions to become Certified Sustainable™ within a given (short) time period and to only trade with Certified Sustainable™ organisations outside of the jurisdiction. Rather than complain that the market is short sighted and prevents the adoption of long term strategies required to achieve sustainability, embrace the short time scale of the markets. We only have a short window of opportunity left, so we now need to act swiftly anyway. In a global corporation led transition to sustainability, only the leaders of the leading corporations need to be able to face up to the issues involved. How you pick the number of people required could vary. The important point is that the number required is very small. Particularly compared to the numbers who would have to face up to the issues to get political parties to embrace all of the issues and subsequently have national governments take action. With age comes wisdom. This is one of the key messages of the BIOSS levels model. It is also recognised in many traditional societies that have a council of elders. This needs to be understood by any corporation that is going to make a successful transition to ecological sustainability. The capability required to undertake the strategic thinking required is most likely to be found in people who have had a lifetime of development. That is in those who are near (or past) the end of their working lives. The only technical fix covered in this book. One of, if not, the major causes of the acceleration of the Greenland and Antarctic Ice Sheets towards the se is melt water. If melt water was intercepted before it left the surface and/or pumped out from beneath the ice sheet it may be possible to greatly slow the rate of Ice Cap melting and so of sea level rise. The Business lead/run Cap and Trade Schemes (see above) are an example of Business Doing It Alone. Most, if not all, of the strategy elements suggested in this book that require international treaties or agreement could be implemented, or at least approximated, by business doing it alone. For example businesses could establish and fund an independent institute that they would charge with establishing and reviewing the environmental limits. Each chapter of this book has described what could be an element of a Global Strategy for how the transition to true ecological sustainability of the entire global economy could be made. The bad news – some 15 to 20 issues, if not addressed in the very near future, could cause major disruption to our way of life. The good news – there are solutions, many outlined in this book. The issues we face are more than climate change. A purist point of view on sustainability – zero extraction, zero emissions. A pragmatic approach – a sustainable economy can use non-renewable resources, but at ever diminishing rates, so that the resources never run out. Transitioning to a sustainable economy, one that works within environmental limits, will require changes. The required rate of change may be beyond the political process to deliver. With less constraints than those imposed by the political process, business can still take decisive action, and be part of the solution rather than part of the problem. When this chapter is drafted a link will be provided here. While drafting chapters for the book, pre-publication endorsements will be sought. CSEM-BMP is a management training and development organisation that specialises in Sustainability. Further details can be found on the CSEM-BMP website. I’d greatly appreciate feedback. How could this be improved?